Ukrainian conductor Kirill Karabits is no stranger to our shores. Now in his seventh season as Chief Conductor of the Bournemouth Symphony Orchestra, he has recently joined the Askonas Holt family of artists and talks to Nina Large about his journey this far, his plans for the future, and the importance of his homeland. Does this new signing with Askonas Holt mark a new chapter for you? Oh yes, definitely. It will be a big change, but it has come very naturally. 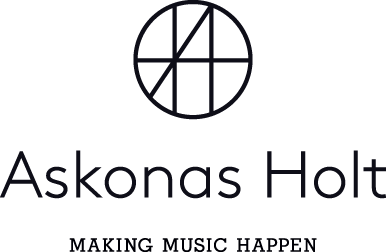 Over the years I have developed strong musical friendships with many artists represented by Askonas Holt, and enjoy working regularly with them. Sunwook Kim, Johannes Moser, Valeriy Sokolov, Lars Vogt, Andrei Bondarenko, Alexander Gavryluyk, Guy Braunstein, Alisa Weilerstein, among others. You are currently in Kiev working with the Kiev Philharmonic – how important is it for you to work with orchestras back home? It’s very important to keep the connection with my country and roots. Over the years of travelling I feel that working in the Ukraine helps me to “come back” to myself and recharge the energy which is necessary for my life and music making. My country is going through difficult processes at the moment as it tries hard to find its way towards Europe, detaching from the post-soviet past. Do you feel that there is a vital need for what you are doing over there right now then? I think Ukraine needs me more than ever at the moment. Artists like me are actually helping the country to understand its own identity and establish itself in the West. I feel as if I am on a mission really. You have a good relationship with the Russian National Orchestra and you’re going back to the Edinburgh Festival with them again this summer. In the light of the troubles between Ukraine and Russia that must be significant for you. At the moment the relationship between Russia and Ukraine is very difficult and there seems to be absolutely no dialogue between the politicians, people die every day fighting with each other, the direct flights between Ukraine and Russia have been cancelled and it seems to get worse each day. Apart from purely artistic reasons, personal sympathy to the musicians and huge respect to Mikhail Pletnev, for me this collaboration is also a sort of cultural diplomacy, we will be performing Russian and Ukrainian music in Edinburgh this year. You also work with young musicians, can you tell me about that? I am artistic director of I, CULTURE Orchestra which functions similarly to the Mahler Jugendorchester, but involves youngsters from seven countries of Eastern Europe – Poland, Moldova, Georgia, Armenia, Belarus, Azerbaijan and Ukraine. With young musicians it’s about an exchange of experience. I was a student myself in Kiev, and then Vienna, so there is a lot which I can share with them. It makes me feel connected to the younger generation and they see somebody who they might become in the future. Previously I’ve also conducted the BBC Young Musician of the Year, and worked with the Beethoven Academy Orchestra, youngsters at the Aspen Music Festival, and the youth orchestra in Aldeburgh among others. You’re from a musical family and your father was a well-known composer. Was it always assumed that music was something you would do? I was never forced to do music. I started on the piano and my teachers were very good but there was a feeling that I should never make a mistake. They were demanding me to seek perfection and that didn’t go with my personality as a kid. I immediately got tense and was scared to appear in front of a public audience. My real interest in music developed through my own exploration of the piano with composition and improvisations. I went to a special music high school since I was 13, which was a very important moment in my life; I suddenly started enjoying what I was doing and life became full of sense. I had an old LP of Shostakovich’s 11th Symphony, and the sound and colours of the orchestra had a very strong impact on me. I just wanted to explore it myself and see how one person could influence and control it. I tried twice to enter the Curtis Institute to do conducting when I was only 16 and 17, but I didn’t make it. I was given scholarships at other universities but as a composition major because they didn’t allow you to study conducting at my age. So I actually decided to return to Kiev (where I could do orchestral conducting straight away), later I went to study in Vienna and almost at the same time won the position of the assistant to Iván Fischer and the Budapest Festival Orchestra, with whom I spent three unforgettable years. You’ve shown an incredible strength of character to get where you are. What drove you and is it the same thing which drives you today? As I grew up I felt more and more pressure that I was the son of a well-known composer, and all my achievements were somehow linked in people’s minds to who my father was. I wanted to find my own way and that was one of the reasons I was so keen on studying abroad. Not so long ago, together with Bournemouth Symphony, we recorded a CD of my father’s concertos for orchestra [available on Naxos] which was really well received, but what personally struck me the most was when a critic wrote that the composer of the music on the CD was the father of the well-known conductor, Kirill Karabits. Now things have turned the other way around. Today I think what drives me the most is probably a combination of a deep emotional exchange by music making, as well as creating relationships and projects which can make things happen – it can be by introducing a great unknown piece of music to an orchestra or audiences, or by showing someone who has never heard an orchestra before a way into classical music. You mentioned that when you were very young you didn’t like the concept of seeking perfection. You obviously have very high standards but is that concept something which you still eschew? I generally don’t believe that there is such a thing as perfection in our lives and especially in music; what is right for me can be wrong for somebody else. With music you can either convince other people or you can’t, this depends hugely on your self-confidence and ability to communicate. Can you tell me a little bit about your work with the Bournemouth Symphony Orchestra and some of the things you have enjoyed most? In my seven years with the BSO I have done more than 70 different orchestral programs and around 200 concerts. Our first clear success was a cycle of Beethoven symphonies, and just recently we have released a cycle of Prokofiev symphonies and early works composed while he was still living in the Ukraine before 1910. It definitely raised our profile and certainly brought international recognition of our work over the past years. We have also performed many important British masterpieces by Britten, Walton, Elgar which has enriched me hugely. You talk about your relationship with the orchestra – tell me a little about how you see the role of the conductor. The conductor can enable the music by communicating with the orchestra on one side and audiences on the other; the conductor is in the centre, where they come together. The conductor should also be able to find the right balance between their own view of a certain piece of music and what works best in a certain situation or hall to make the music sound alive. You’ve got a lot of new orchestral debuts coming up, the Chicago Symphony Orchestra being one, performing Prokofiev’s 5th Symphony. This is a work you know incredibly well but how do you approach it with an orchestra that is totally new to you? In the first rehearsal I will probably just run the symphony from the beginning to the end. I need to hear how the orchestra react and what sound they offer without me telling them how to play. And then, while we are doing this, I will try to develop a kind of interior feeling of what needs to be contributed, influenced or changed to make it sound convincing. Orchestras of that level are technically very advanced and react very quickly so it’s a rather delicate, refined communication which is not about learning notes – you have to show musicians the reason why you are standing there in the first place. You’ll also be working for the first time with Deutsche Oper and Oper Stuttgart, as well as taking over as music director in Weimar. 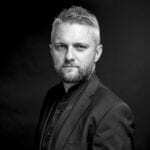 Weimar is going to be my first music director position with an orchestra and opera company so I hugely look forward to the artistic responsibility and possibility of having an important say in shaping the concert season and guest artists. The theme for my first season 2016/17 will be ‘Orient and Occident’, where we will explore some of the eastern influences in western music and the other way around. For example, we will be doing Armenian music but also some Mozart pieces which had eastern influences; it’s the idea of a cultural exchange of East and West. I also hugely look forward to working personally with our artist in residence Khatia Buniatishvili and composer in residence Krzysztof Penderecki. I’m also working with new repertoire; ‘Boris Godunov’ with Deutsche Oper and ‘Death in Venice’ with Oper Stuttgart. I take a long time to actually prepare myself for new works, to think about the piece and the soundworld I want; I imagine it all. Then when I am ready and in the right state of mind I take the score and very quickly learn the notes. Is music 24/7 or do you create space in your life for other things? It can’t be just music. Life offers so many other things and those things can make you a better musician and bring something else into your music. I have hobbies – I like yoga and at the end of the day I have my wife and two kids! Fishing is also very relaxing; it makes you concentrate on something different and refreshes your thoughts. It’s very important to find space to observe yourself from the side, it makes you analyse your way of life and find a quicker way to achieve your goals. Please visit Kirill’s artist page for more information, videos, audio clips and upcoming events.